The New York Regiments were made up of 750 men with each regiment, divided into 10 different Companies. Each Company was headed by a Captain, a 1st Lieutenant and a 2nd Lieutenant. It would not be unusual for regiments to be split up and deployed to several different locations at the same time. So, just because a soldier belonged to a regiment that fought in a specific engagement, does not mean that every man in every company in the regiment participated. Also, in many of these battles, other Continental and State Militia units participated but our focus is primarily on the New York Units that were engaged. Significant engagements involving the New York regiments are plotted on the map below and described in narratives after the map. The map is interactive and selecting a pointer will display information about the engagement. After taking forts Ticonderoga and Crown Point from the British in New York and Fort Chamblee in Canada, Brigadier General Richard Montgomery moved north to take Montreal and Quebec from the British. At the same time Col. Benedict Arnold moved his force north from Massachusetts through Maine and arrived in Quebec in November 1775. BG Montgomery taking Montreal without a fight joined up with Col. Arnold to attack the British fort in Quebec on December 31, 1775. The 1200 American soldiers challenged 1800 British troops. It was a terrible defeat for the Americans losing over 500 soldiers killed, wounded or captured including the death of BG Montgomery and the wounding of Col. Arnold. The British lost 20 killed or wounded. 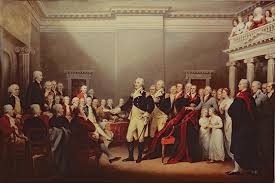 General Washington commanded 10,000 Americans against General William Howe who commanded 32,000 British troops. This battle took place on August 27, 1776 on Long Island and is sometimes referred to as the Battle of Long Island. The 4th NY Regiment was on Long Island before the battle building fortifications. The Americans suffered a defeat with 2,000 men killed, wounded or captured compared to slightly less than 400 British killed, wounded or missing. Generals Washington, McDougall (1st NY) and Spencer (1st CT) command the American forces of approximately 3,100 men facing General William Howe with between 4,000 and 7,500 British and Hessian troops. 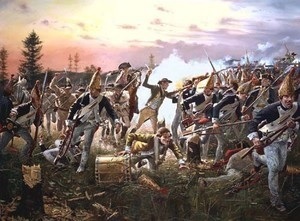 This battle took place on October 28, 1776 just north of New York City in White Plains, NY. 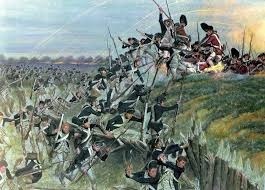 The Americans had the advantage of the high ground above the British. The American casualties totaled 120 to 200 killed, wounded or missing and the British had between 250 and 300 killed, wounded or missing. Col. Benedict Arnold led the American forces which consisted of 15 ships with a total of 500 sailors on Lake Champlain. The British fleet had 25 ships manned by 697 sailors, 1000 soldiers and 650 Indians. The British ships carried 80 large guns compared to 74 smaller guns on the American ships. On October 11, 1776 the Americans tried to lure the British ships into a position to gain superior advantage but the British were too skilled and too well armed to be defeated. At the end of the battle, the Americans lost 11 ships with 80 men killed or wounded and 120 captured. The British had 40 killed or wounded. The battle began with the famous crossing of the Delaware River on Christmas Day evening by General George Washington, General Nathanael Greene and 2700 American troops. 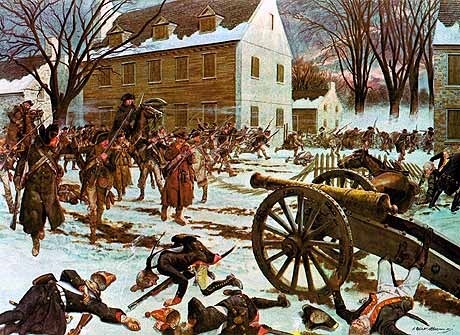 It was not until 4:00 AM on December 26 that the American troops began the 9 mile march to Trenton. Arriving in the city shortly after 8:00 AM, Washington and Greene positioned their men to attack the enemy and prevent the escape of the 1500, mostly Hessian troops. The American attack was successful with seven soldiers killed or wounded. The Hessians lost 105 killed (including their commander Col. Johann Rall) or wounded and over 900 captured. After the battle of Trenton, the British under General Charles Cornwallis with 6000 troops made his way from Princeton, NJ to Trenton to challenge Washington and his 5000 troops. There was fighting between the two combatants in Trenton on January 2, 1777 but due to rain and lateness of the day, Cornwallis decides to wait until the following day to finish off the Americans. 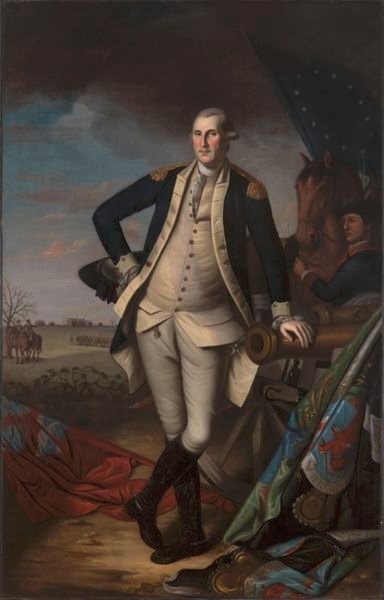 That night, Washington tricks the British into thinking they are in camp but in the darkness the American Army evacuates camp and travels around the British to Princeton. Early in the morning of January 3, the 5000 Americans attack the British force of 1200 men at the outskirts of Princeton. 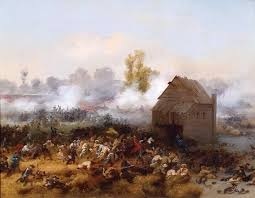 After an initial battle the British withdraw to the town and take cover in one of the College of New Jersey buildings. After a couple cannon shots to the building the British surrender. The American Army chalks up another victory losing about 65 killed or wounded versus the British losing 170 killed or wounded and 280 captured. The battle of Saratoga was actually two distinct battles. The first Saratoga battle called the Battle of Freeman’s Farm, occurred on September 19, 1777 with American Generals Horatio Gates and Benedict Arnold facing off against British General John Burgoyne. The Americans had a slight advantage with about 9,000 troops while the British had 7,200 troops. However, the British were victorious in gaining ground but it came at a high price in terms of soldiers lost. The second Saratoga battle called the Battle of Bemis Heights occurred on October 7, 1777. The American Army was led by General Gates who had removed General Arnold of his field command. The British were led by General Burgoyne. In this second battle the American’s showed up with 12,000 soldiers against 6,600 British troops, a significant advantage for the Americans. 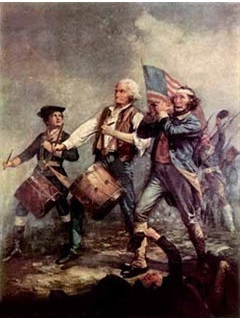 During the battle, General Arnold disobeyed orders and joined his soldiers in the fight. 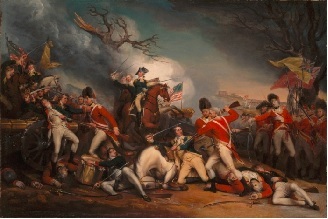 Burgoyne lost about 1,100 men in both battles compared to about 360 Americans killed or wounded. 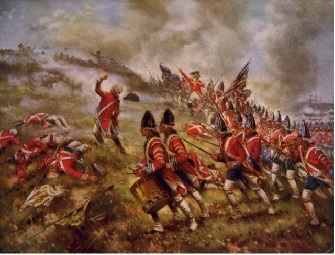 After the second battle the Americans outnumbered the British by about 3 to 1. By October 13, Burgoyne’s army was surrounded and on October 17, 1777 General Burgoyne surrendered his army of 6,200 soldiers to the Americans. In early 1777, the 3rd Regiment, under the command of Col. Peter Gansevoort was sent to defend Ft. Schuyler (Stanwix). Having split the regiment up into at least three smaller groups, they each made their way to Ft. Schuyler. Between May and August the regiment strengthened the fortification. In August, 2000 British, German and Indian troops appeared and attempted to starve the regiment by conducting a siege for 21 days. During this time, Col. Marinus Willett took a detachment of men and attacked the local loyalist and Indian encampments. On his return he engaged the British contingent and with the help of cannon fire from the fort, they drove off the British. Two American forts on the west side of the Hudson River effectively prevented the British from sailing north. Ft. Clinton was about a half mile south of Ft. Montgomery. The two forts were separated by the Popolopen Creek. 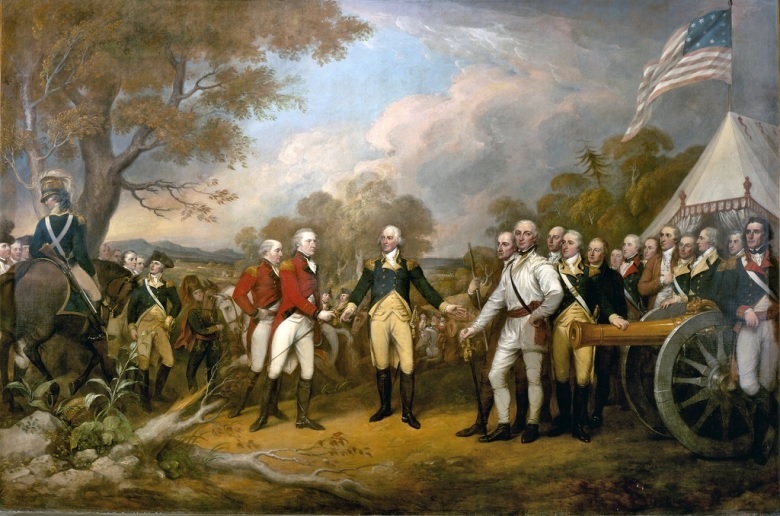 A force of about 2100 British, Hessians and American Loyalists led by Sir Henry Clinton were heading north to reinforce General Burgoyne in Saratoga. Clinton split his force sending 1200 to take Ft. Clinton and 900 men to simultaneously attack Ft. Montgomery. The Americans had 600 men split between the two forts. The British were victorious over running both fortifications. Most of the Americans were killed or captured. By slowing down the British, the Americans delayed Clinton and his army from reinforcing Burgoyne. By the time Clinton’s force was close to Saratoga, Burgoyne had already surrendered. May 1778, the British decided to abandon Philadelphia and head back to New York City. The British Army, led by Sir Henry Clinton and General Cornwallis began their 100 mile march on June 18 with 14,000 to 15,000 troops and a baggage train 12 miles long. General Washington and Field General Charles Lee along with Generals Knox and Greene planned to attack the rear guard of the British army. On July 28 the American army with a total strength of about 11,000 soldiers positioned themselves to take on the British. The fighting began with General Lee leading the American attack. When he met British resistance he began to withdraw his troops. Washington, seeing what was going on, charged into the battle and turned the Americans around and led them back into the fighting. The battle ended because of darkness with both sides losing about 500 men, many due to the extreme heat. General Lee was later court martialed and would never lead troops into battle again. On January 1, 1781 the New York Regiments are consolidated. The 1st Regiment now included the 3rd Regiment and the 2nd Regiment included the 4th and 5th Regiments plus part of Spencer’s Regiment. In late August both regiments are headed south toward Virginia. About the same time General Cornwallis is camped with his army of 9,000 British and Hessian troops. By late September General Washington with 8,000 Continental Line and 3,100 Militia have joined with Comte de Rochambeau with about 8,000 French Troops for a total of 18,900 soldiers. 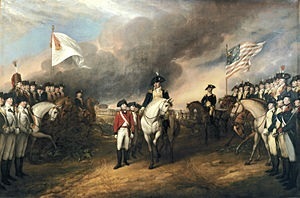 The American and French armies initiate a siege against the British trapped in Yorktown. On October 14, a force of 400 American and 400 French soldiers take two remaining British redoubts giving the British no other option but surrender. The Americans take the 8,000 British and Hessian soldiers prisoner.